Somewhere on a farm, the sun rises, birds chirp, and dew evaporates. A field full of seedlings stretches to meet the new golden rays. These special little seedlings are stretching farther and working harder than any other seedlings before. These little guys are producing fuel—jet fuel. It may seem far-fetched, but Dr. Neal Stewart, professor in the Department of Plant Sciences, Dr. Scott Lenaghan, assistant professor in the Center for Renewable Carbon, and their team at UT AgResearch are fulfilling the Advanced Research Projects Agency-Energy’s motto, “Changing what’s possible.” A grant from ARPA-E is allowing Tennessee’s team, in conjunction with collaborators at the University of Pennsylvania and University of California at Berkeley, to spend up to three years developing the technology to completely recreate plastomes. Plastomes are the genetic code of plastids, such as chloroplasts, and hold the key to improving photosynthetic efficiency and enabling plants to produce specialty chemicals. The chemical of interest for this project is squalene, a compound primarily harvested from sharks that is used in various commercial products. This project could lead to the mass production of squalene by plants and establish new patentable technologies to be used in other biotechnology research and development. From the outside looking in, this process may seem complicated and the sound of whirling centrifuges, snapping latex gloves, and clinking beakers may be intimidating or even frightening, but it is all easily explained when compared to an office environment. Offices are always looking to be more efficient, and increased efficiency in the information age often involves software upgrades. 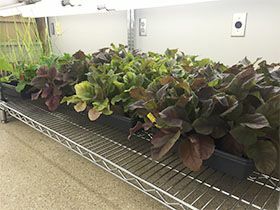 Similarly, a tobacco plant can stand to be more efficient and has potential to produce biofuel products if its “software” or chloroplast is recoded and upgraded. Dr. Stewart’s team will rewrite the DNA (deoxyribonucleic acid) or “code” for the new chloroplast. Then, it will be loaded into the cell, and an antibiotic will be used to “uninstall” the old chloroplast just as an information technology (IT) technician would uninstall the old software as he or she phases in the new. As a result, the entire cell will become more efficient as it turns sunlight into chemicals more quickly and be more valuable with the new chemicals it creates by using the new synthetic plastome, or as the Tennessee team has coined the term, “synplastome.” This entire upgrading process never damages the cell, and the whole organism continues to thrive. Because tobacco DNA is easy to manipulate, research will begin with that crop. 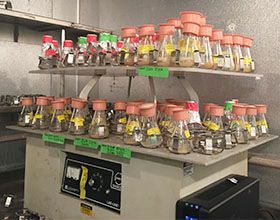 The initial goal is to prove that it is possible to recode a plastid and have it function. 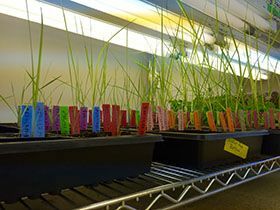 All of this effort is being made in the hopes of eventually applying the techniques to more biomass-rich crops, such as switchgrass, and developing energy-rich biofuels. None of this research could take place if it were not for ARPA-E striving to change what is possible and granting $3.5 million for three years of research and development to Dr. Stewart, Dr. Lenaghan, and collaborators. In the future, the technology developed through this project could be used to redesign chloroplasts and other plastids for a variety of uses. It is an honor for UT AgResearch and Dr. Stewart to be chosen to spearhead this work and continue “changing what’s possible” for the future of energy and agriculture.